From 1 October 2017 or your staging date (whichever is earlier) all employers will have to offer their staff a pension. If your staging date is prior to 1 October 2017 you will have received a letter from HMRC stating the date. This applies to businesses who employee staff and also homes who employee nannies, cleaners or personal assistances. This will increase your staff costs as the contributions will be in addition to their gross salary the same as employers national insurance. What happens if I only employ myself in my business? If you are the Director of your business and only employ yourself in your business you are exempt from auto-enrolment. You can still choose to pay yourself a pension through your business if you choose to but it’s more efficient to have a personal pension outside your business structure. A good accountant will be able to explain the benefit of doing so. However, you still have to report to the pension’s regulator that you are exempt from auto-enrolment (see below). What happens if my staff do not want to enrol and contribute to a pension scheme? Even if your staff do not want to contribute to a pension scheme you have to enrol them and then they can opt-out via the pension provider. You will then have to enrol everyone every three years. What are your reporting responsibilities? That you are exempt from the scheme as you are the Director or the only employee. This means that all employers have to report to the pension’s regulator. You have to report via the pension’s regulator website. OJ Williams Accounting Limited can assist you with this reporting. If you don’t comply with the rules or report that you are exempt you will receive a fine and ultimately prosecution. Which pension scheme to choose? 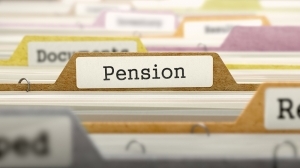 There are many different pension schemes to choose from with some only accepting employers if they have a certain level of employees / amount of contributions. The Government have set up the Nest pension scheme to accept all employers. An independent financial advisor can give advice on which may be the best pension scheme for you and your staff. 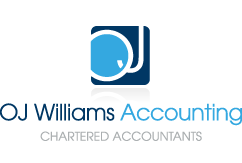 Once you have chosen your scheme OJ Williams Accounting Limited can help you get it set up and manage your contributions through your payroll.